In collaboration with the International Center of Photography— whose current exhibition, "Perpetual Revolution: The Image and Social Change," includes a section devoted to the refugee crisis— Anthology Film Archives and the Goethe-Institut New York present a film series highlighting moving-image works that have depicted and explored the subject of mass migration and the experiences of refugees, particularly in the 21st century. The program showcases contemporary filmmakers' attempts to reckon with a phenomenon that has recurred throughout human history but that remains a tragic part of our war-torn, cataclysmic present— and to put a human face on a topic that's in perpetual danger of dissolving into a stream of statistics and neutered images. 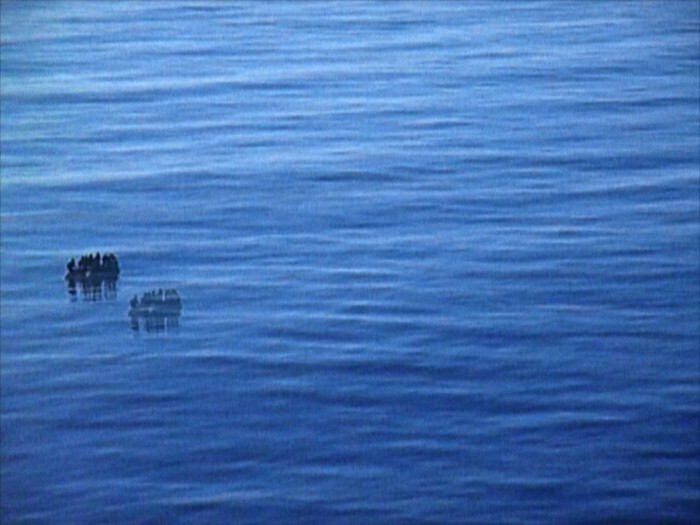 "Displaced Persons" features, among others, films from the Middle East (A World Not Ours, which documents a Palestinian refugee camp in Lebanon), Africa (Those Who Jump), Asia (Rithy Panh’s debut film, Site 2, about a Thai camp for refugees from Cambodia and elsewhere), and Europe (two separate portraits of Lampedusa, the Italian island that is on the front line of African migration). The series also anticipates Anthology's May retrospective of the work of Serbian filmmaker Želimir Žilnik, who has been exploring issues of migration throughout his extraordinary career. The series will culminate in a week-long run of Wang Bing’s monumental new film, Ta'ang. "Displaced Persons" runs April 26 - May 4 at Anthology Film Archives. Co-presented with the Goethe-Institut New York and the International Center of Photography.